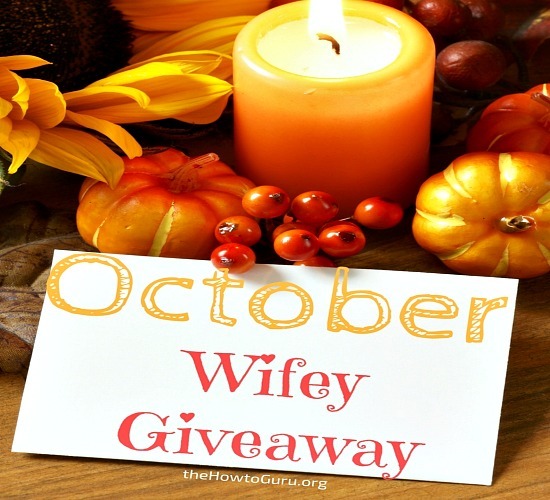 I love nothing better than to give away cool stuff for my friends and honey, do I have a fun, wifey giveaway for you this week?! I. can’t. even. If you are already subscribed to The How-to Guru, I mentioned this week’s giveaway in your weekend newsletter. Sadly the photos didn’t show up (long, boring story), SOOO, here’s the scoop to make sure you see the cuteness and get yo’self entered before the live drawing (w/Facebook Live on The How-to Guru FB page) happens on Sunday, October 23rd! Because I adore fall (I know you do too), and I want you and me to be more prepared for extreme weather moments (like Hurricane Hermine & Matthew! ), I’ve got a fun and unique prize pack. Some of the prizes are decorative, some are practical, but they are all adorable! All of these cuties would make fantastic gifts for your peeps as well, so I’m including the affiliate links to each in case you want some to give away a few yourself (or if you can’t wait to buy some for yourself before the giveaway is over). First, how bout an adorable Pumpkin Spice pillow cover to cozy up your home for the season?! #1 Pumpkin Spice & Everything Nice pillow cover Second, there’s an eclectic, vintage-style radio that really works – on batteries. A small, super-cute option that runs on three, AA batteries to keep up with the news when the power’s out and devices run low. Third, get the kids fired up about decorating the Halloween pumpkins without having to make a mess at all! Whether or not you are able to keep the kiddos from carving the real thing as well as using this kit is your (messy) business! You are on your own on that one! #3 Pumpkin Decorating party kitLastly, you and I both need a battery-operated lantern indoors and/or outdoors for parties and power outages. The fabulous part is how stylish it is with its copper finish and vintage vibe. Can’t wait to take ours camping. How about you? I’ll be doing an old school drawing live on Facebook on Sunday, October 23rd, so here’s all you need to do before then to be entered in the wifey giveaway ….. I will send you an email with your two tasks and you will be entered! If you are already subscribed, check your email (I sent the newsletter on Oct. 9th) to follow the two tasks within it. I love giving stuff away. Can’t you tell?! I get about as excited about this as the person that wins. DIY Fall Decorations for the non-crafty girls! How to Get Amazing Sleep Time tonight! Previous Post Pumpkin Quick Bread Recipe That Everyone Will Love! Next Post Beautiful Skin? Every Woman Needs These Hacks In Her Life! The email was sent the night you subscribed. Let me know if you didn’t receive it! That throw pillow is too cute! I love the idea of giving out gifts for more readers. Thanks, Mihaela! LOVE the pillow cover. Hope you’ll join us. 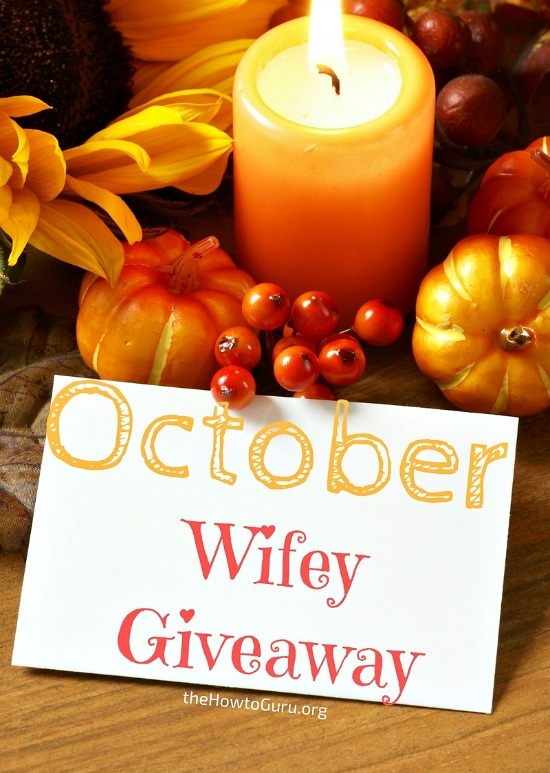 What a cute fall themed giveaway! Who doesn’t love pumpkin spice? Thanks, Kathleen! I know, right? I hope you’ll join up with us. What a fun giveaway! I love pumpkin spice. That pillow is awesome! Oooh, I love giveaways! I love fall even more. Awww, how cool. Thanks for offering this! Thanks, Tiffani! Glad you are joining in. Very cute stuff! I love the lantern and radio! Thanks, Tara! I hope you are entering the giveaway. Have fun! Those are such cute giveaways! I especially like the old timey radio! Thank you for this lovely Contest!! I am looking forward to learning and gleaming a wealth of helpful information on your blog. How sweet, Carla. Your kind words make my day. Have fun with the giveaway! Glad you are here.